Like most guitarnerd’s, over the years I’ve amassed a collection of guitar parts in case I need them in the future. After a while this small pile of parts becomes a cupboard full and by then I usually sell off bits and pieces as I realise I’ll never actually use them. Or I put some together to make a new beast. This project is like that. 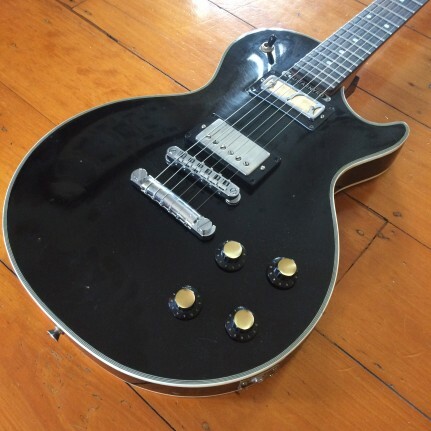 What I had was a 70′s Matsumoku / Ibanez body (which I’d bought as it had an original 70′s Ibanez Flying Fingers pickup), an old Maton Mastersound neck (from when my band’s old guitarist destroyed our Mastersound onstage), a 90′s Tom Holmes-era ‘Gibson ’57 Classic humbucker and a 60′s Dearmond goldfoil pickup. I tested the neck in the neck pocket and it was a perfect fit. With the Maton neck being 21 frets, this left a bit of room for the body-end trussrod which would just need a cover, like Maton does it. The idea was to build a sort of ‘Frankenstein’ version of the Maton AX5, which was Maton’s answer to the Les Paul. I also was going to combine elements of my favourite guitar ever, Speedo’s “Vain” Les Paul. 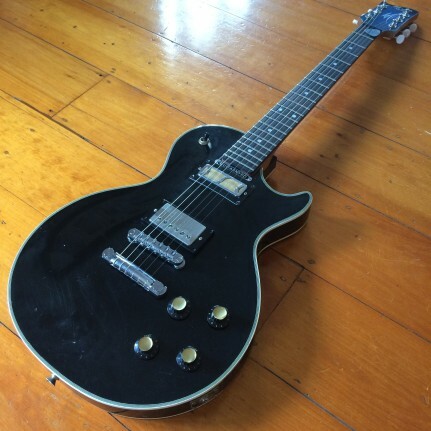 This has a Gibson humbucker in the bridge and a 60′s Dearmond pickup in the neck position and sounds like God. Having both these pickups, it was a no-brainer. So I boxed up all the parts and sent it off to an excellent local guitar repairer, Matt Bach of Bach Guitar Services. Matt’s attention to detail is amazing and I knew he’d knock this out of the park. He’s very meticulous. After a few months he contacted me and said it was finished. I was gobsmacked. Matt had NAILED it. 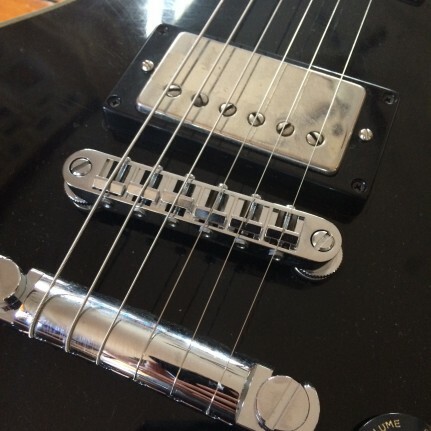 Matt had fitted all new Gotoh hardware so it was rock solid. And it plays FANTASTIC. 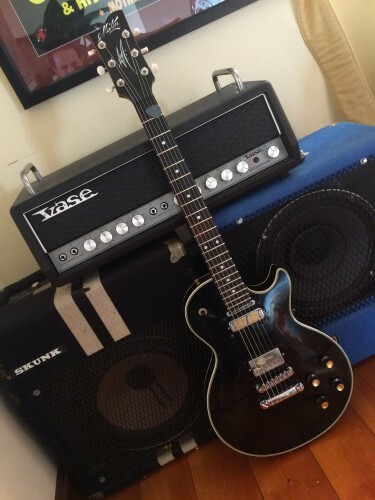 Honestly, this thing plays and sounds so good… I sold my Silverburst Les Paul Custom. The Mastumoku body has a solid mahogany core with a pressed top, so it’s sort of semi hollow which puts it even closer in line with Speedo’s hollowed Dragon Les Paul and makes it really comfortable to play. 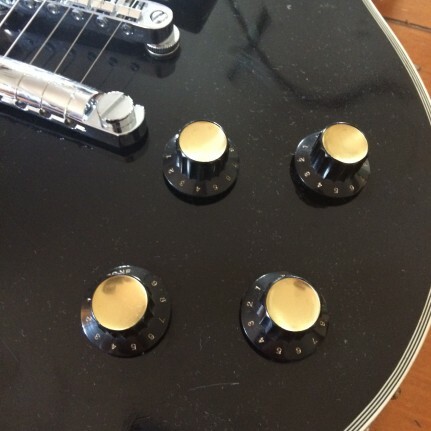 As I’m such a nerd, I tracked down some Harmony Satellite knobs as they’re the closet thing to the original Maton AX5 knobs. 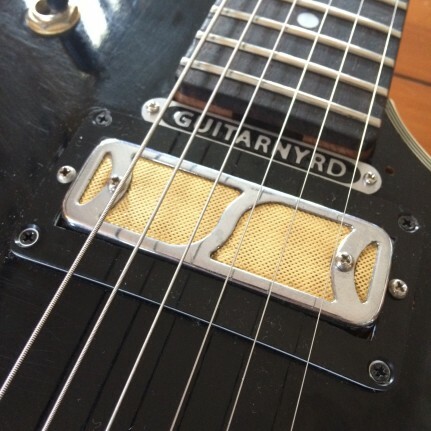 They really suit the guitar and offset the gold in the gold foil pickup nicely. 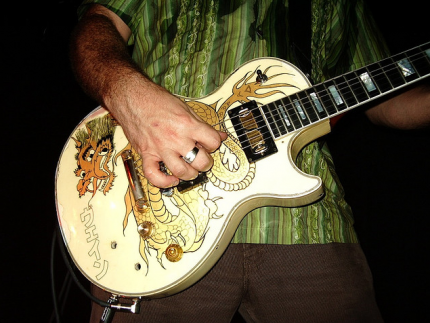 Speaking of the Dearmond goldfoil, this is the one I had in my cream Les Paul Custom that I’d sold. It’s been rewound and is a killer pickup. It’s found a great new home in this Les Paul. Matt Bach, being and awesome dude… made me a custom trussrod cover. The guy is a legend. The bridge pickup is one I’ve had for 20 years and has been through 3 guitars. I love it so much… I wasn’t sure why it was so good until I did some research. 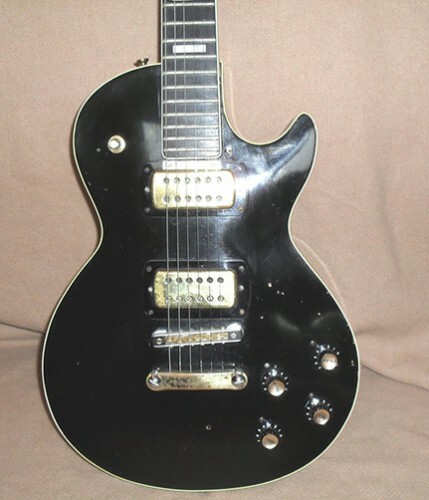 Apparently the early 90′s ’57 Classic humbuckers were designed by pickup genius Tom Holmes and are very highly regarded. Gibson have since changed to cheaper materials and the new ones aren’t as good. 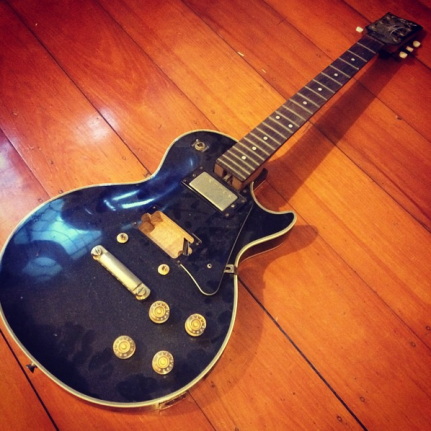 Again… it’s found a great home in this Les Paul. And it matches the shiny new Gotoh gear nicely. 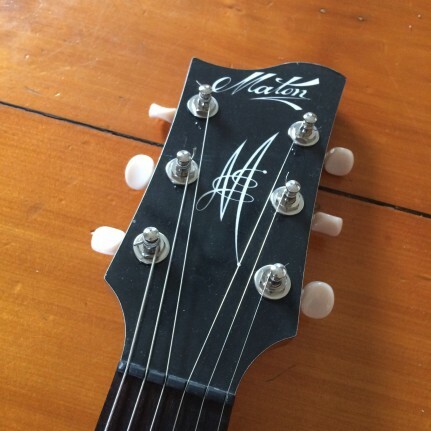 The neck is off an old early 2000′s Maton Mastersound, made of Australian Blackwood with a rosewood board. 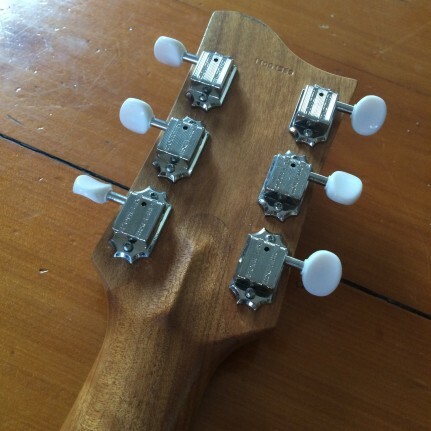 It’s a great profile… very similar to a 90′s Les Paul but a touch narrower at the nut. The neck had been sitting in my drummer’s garage for 10 years, so a lot of the frets were popping out. Matt had a nightmare of a time gluing them back in and dressing them, but they’re behaving. This guitar was near new when it was destroyed, so there’s plenty of fret life left in them. Being an early Mastersound neck, it features that beautiful neck joint and volute. I also got new Klusons fitted to match the original tuners. So, all up this guitar has become much more than the sum of it’s parts. It’s an honest rock machine, very usuable, looks cool as hell, plays and sounds great and unique. Ticks all my boxes. And I’ll be playing it a lot. Much better than it sitting in pieces for years. So if you have any projects you’ve been putting off… I really recommend getting them done. You’re missing out on playing a great guitar. Did you consider the separate output wiring like Speedo or is it just old regular LP-style? It looks kool. My first guitar was a pressed-top goldtop Antoria LP. Still have it and it does have a “bark” from the gaps under the top that I like.